Karin McKnight is a paralegal in the Charlotte office of Cranfill Sumner & Hartzog LLP. She supports Matthew Covington in the firm’s Worker’s Compensation Practice Group. Karin is an American Bar Association Certified Paralegal. 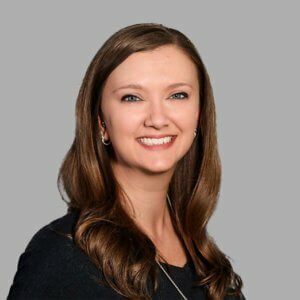 Karin joined the firm in March of 2018 after having relocated from the Northern Virginia region where she was a Civil Litigation Paralegal. Karin received her Bachelor’s Degree in Political Science with a concentrated Minor in Leadership Studies from Longwood University and completed her paralegal certification at George Mason University. While being new the Charlotte area, she enjoys spending time with her husband and their dog, Onyx, in their new home.